It’s borderline criminal that Baylor is not listed among the top 25 teams in college basketball. Associated Press Top 25 voters must be preoccupied with the Zion Williamson dunk-of-the-night. Or they’re falling all over themselves still asking why Texas fired Rick Barnes. If Kansas was tied for first place in the Big 12 standings in February, anyone think the Jayhawks would be getting dissed? Coach Scott Drew’s club has won six straight games coming into Wednesday’s clash against Texas at the Erwin Center. Baylor (15-6, 6-2 Big 12) mauled Oklahoma by 30 points on ESPN’s “Big Monday” and then smashed TCU by 26 over the weekend. The Baylor women’s team rolled through town on Monday and clipped Texas’ wings. Two days later, the men’s team is looking for the same outcome. Smart talks about the Bears in almost reverent terms. They are at least getting modest votes in the AP poll. Kansas State and Baylor are currently tied for the league lead, and both would rank 29th and 30th, respectively. 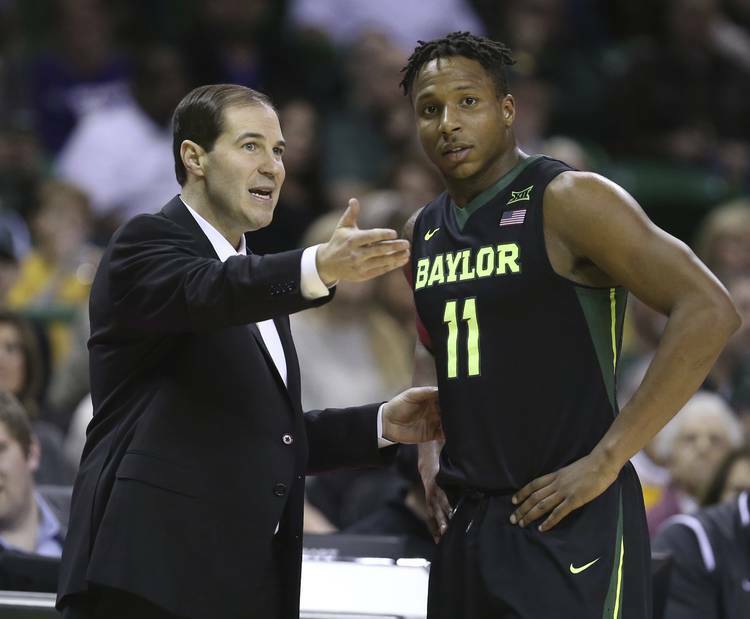 Smart has no reason to give Baylor coaches any bulletin-board ammunition. Texas beat the Bears on Feb. 1, 2016, in Smart’s first season. Since then, Drew’s teams have won six straight meetings and have allowed the Horns to score more than 64 points only once. That was last season’s 74-73 double-overtime game that UT lost at home. Texas (12-10, 4-5) ebbs and flows. It’s a team that plays up or down based on the opponent’s jersey. 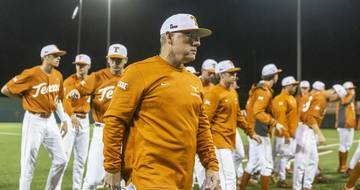 The Longhorns defended well against the Jayhawks last week and came away with a 10-point win. Then Texas fell into a 13-point hole against Iowa State over the weekend, took a small lead but ultimately lost by five. Both games were won and lost on the perimeter. Baylor graduate transfer Makai Mason comes to Austin having made nine 3-pointers against TCU and racking up a school-record 40 points. He’s shooting 39.3 percent from long range for the season. Texas was 6-for-23 shooting from 3-point range against Iowa State. Kerwin Roach II and Jase Febres were 3-for-10 combined. It was a reminder that UT’s guards can be more effective with looking for open lanes and getting in the paint. The Horns have struggled at the free throw line in previous years, but not this season. Smart’s crew ranks first (.739) in league play, but it also has the lowest number of attempts (128). West Virginia has 252 while Oklahoma and Texas Tech both have more than 190, for comparison. If the Horns attack the Bears’ 1-3-1 zone, there could be more scoring chances. “I think the key is to make sure you’re aggressive getting the ball into the paint,” Smart said.